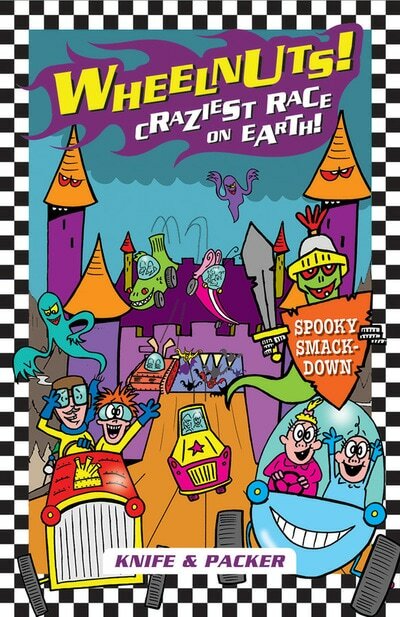 Six crazy cars, five outlandish courses, one winner … buckle up for WHEELNUTS!, the craziest race on earth! 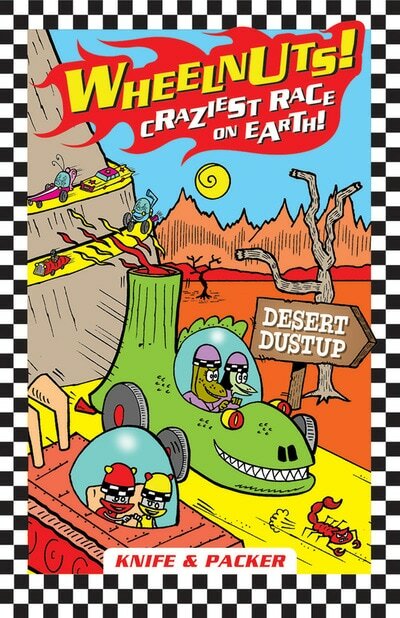 Eccentric billionaire Warren “Wheelie” Wheelnut has decided to mount the biggest, maddest, most off-the-scale competition ever! 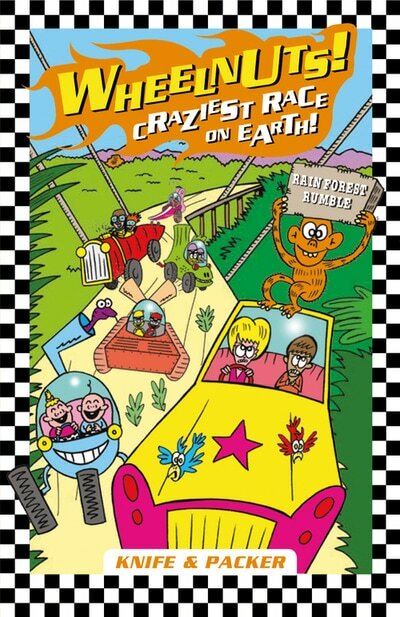 He has created five extreme race tracks: from the desert to a haunted town to outer space, underwater and dense jungle. 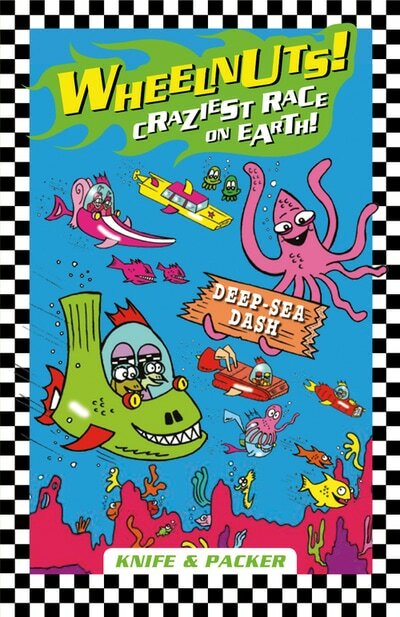 It’s not chicanes and hairpin turns the drivers need to be worried about; it’s aliens and giant squid! 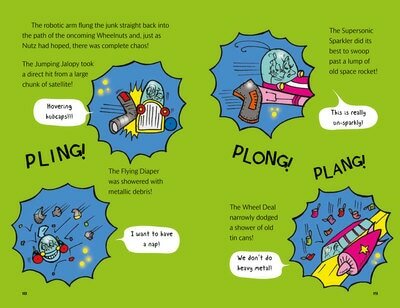 Book 3, Space Mash, takes the teams to the moon, a planet made of food, and pits them against maniac robots! 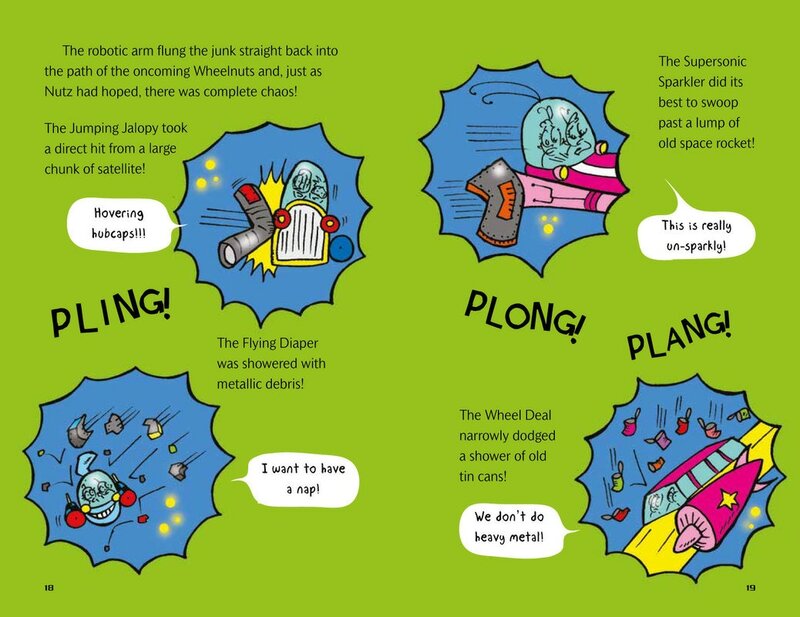 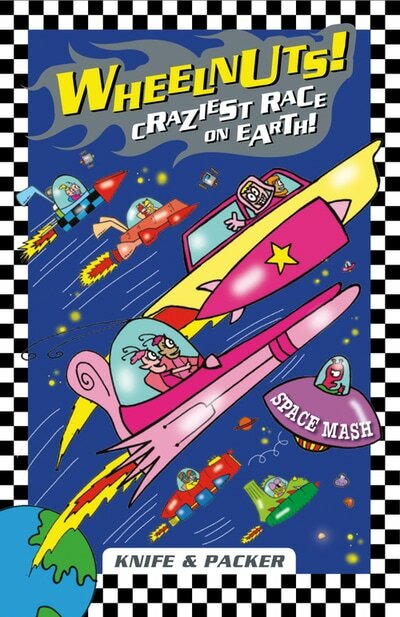 Which team will face meteor showers, wacky aliens and more, to arrive back on Earth first?